The UK's Department for Transport released a "left-hook" video ad as part of its Autumn THINK! 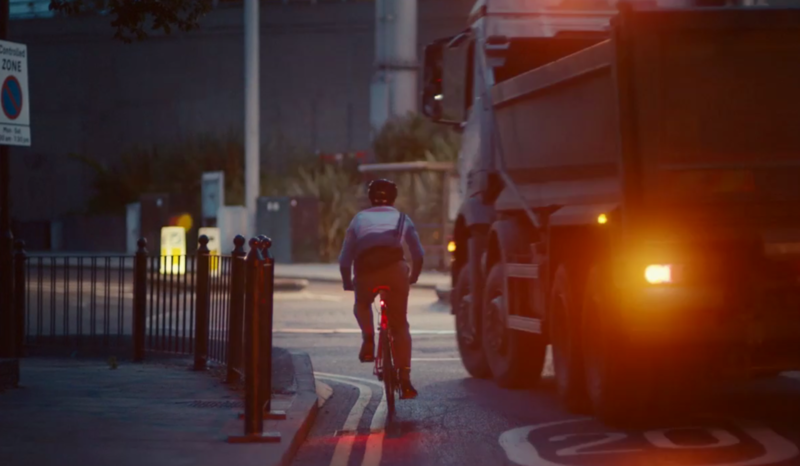 campaign, and the video shows a lorry overtaking a cyclist immediately before turning left. What the cyclist could do in this situation isn't remotely clear, so it's just a victim-blaming exercise. You can watch the video on the DfT website. Lorry driver performing the dangerous "left hook"
Fortunately the UK's chief cyclists' campaigning group, Cycling UK, is on the case, and encourages everyone to contact the Govt minister and ask for the campaign to be withdrawn. Click this link to support Cycling UK's THINK again campaign!. 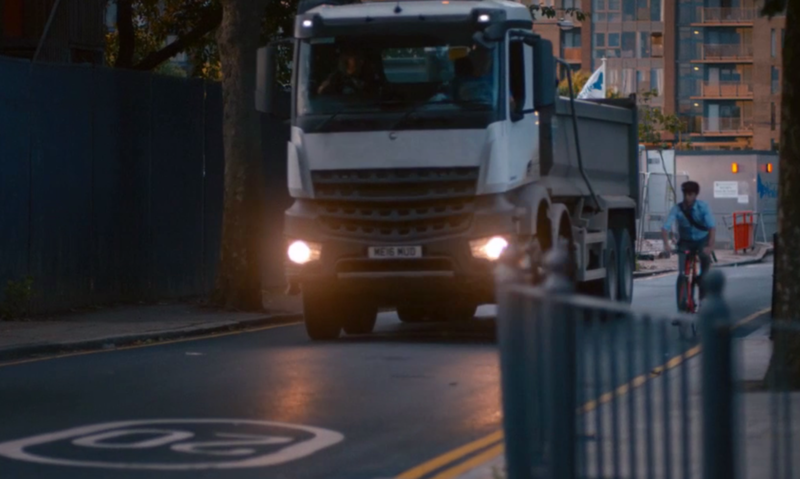 I watched the video from the "Hang Back" campaign that apparently aims to remind cyclists not to put themselves into a position where they can be injured or killed by a left-turning lorry. However, the video footage blatantly doesn't show this, as it features a lorry overtaking a cyclist immediately before turning left - a reckless and dangerous manoeuvre for the lorry driver to take. The cyclist was just cycling along in full view of the lorry driver, and could not do anything to avoid the dangerous left turn. The video would be perfect for a "Hang Back" campaign that reminds all drivers to wait behind a cyclist before turning left. Your "Hang Back" campaign for cyclists should feature a cyclist coming up behind a lorry stopped at some traffic lights, and indicate the danger of trying to squeeze past it. It's really not hard to see the difference in the message from the victim-blaming footage that the campaign is currently using. I therefore urge you to listen to the constructive criticism that has come from road safety and cycling groups, such as Cycling UK, and withdraw the THINK “Hang Back” campaign.